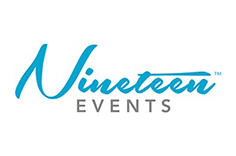 Nineteen Events is a UK-based exhibition organiser with two well-established specialist shows in the security sector and the plastic, reconstructive and cosmetic industries. The CCR (Clinical Cosmetic & Reconstructive) Expo is the UK’s largest medical aesthetics exhibition attracting cosmetic surgeons, doctors, nurses, dentists and other health professionals. Attendance at the event, including its extensive seminar programme is free of charge. For the first time in 2015 the show hosted the 31st Annual Scientific Meeting of the British Association of Aesthetic Plastic Surgeons (BAAPS) which was a major coup and a very important addition to the show. Our solution was simple but very effective and time-saving. We created one registration system that held details of all individual BAAPS members and their status (full member or trainee). This allowed us to verify them at the time of registration and automatically apply their free or discounted delegate fee. In addition, if the system did not recognize a registrant as a BAAPS member, a message popped up to that effect, asking them to select another registration option. By automating the whole verification process, EAS saved the CCR team hours of manual checking and ensured that delegate revenues were collected in a timely and controlled manner. The BAAPS Conference recorded the best attendance ever. Overall attendance at CCR increased by 28% year-on-year, and the 32nd BAAPS Annual Scientific Meeting will once again be hosted at CCR in 2016. We are delighted that CCR continues to go from strength to strength and have ambitious growth plans for the years ahead. We are also truly appreciative of the can-do attitude of the team at EAS which helped us to smoothly incorporate the BAAPS Meeting into our visitor experience.